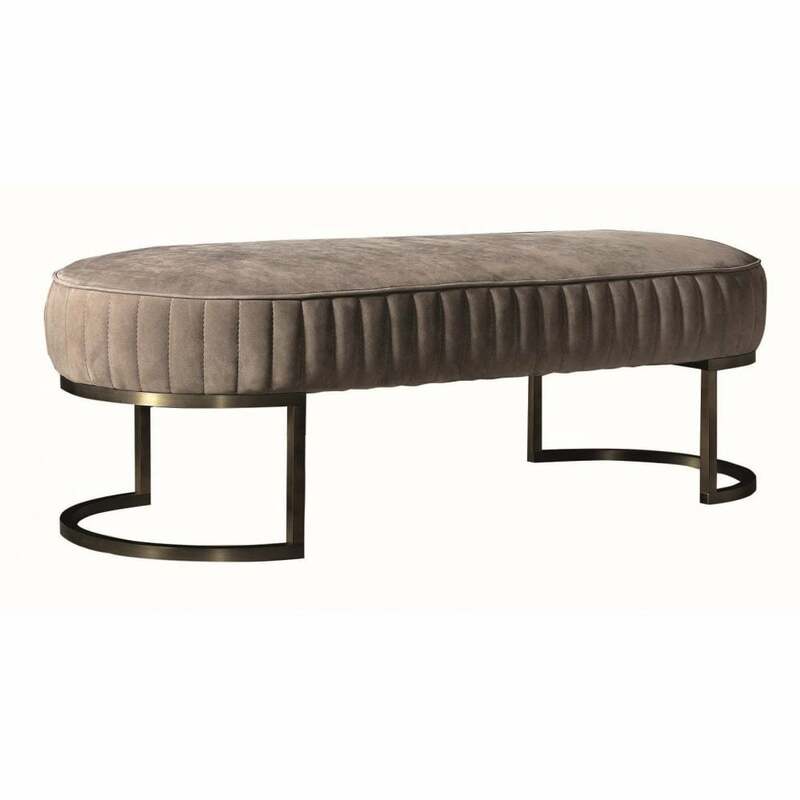 The Bubble Bench Seat is part of the glamorous furniture range by luxury Italian brand Daytona. Covered in grosgrain design leather, the seat features a layer of soft goose down for ultimate comfort. The base is finished in a beautiful burnished brass complementing the art deco style frame-work. Inspired by 1930’s Hollywood, position at the end of a sumptuous bed or in the centre of a dressing room suite for a luxe look. Hand-made in Italy, the upholstery is available in three high-quality materials with elegant Capitonné. You may also choose the frame-work in a radiant titanium finish. Get in touch with our friendly team for more information and advice.